I grew up exposed to worship hymns. My parents were members of a Catholic charismatic community and they had weekly worship services and activities that used a lot of these songs. Being musically inclined even as a child, I easily absorbed the melodies and more importantly, the words. Traditional hymns were heavily based on the scriptures and unconsciously, I had memorized numerous verses to heart. Years gone by and those verses never left me. That time, despite having read all the stories in the bible at a young age, I wasn’t aware that I had kept in me a wealth of the scriptures. All I knew was that the songs were nice to hum in my quiet moments. I was a typical rebellious teenager – I fought with my folks, ditched school more than once, got into chick rumbles in the restrooms, transferred from one high school to another, fell in love millions of times and got my heart broken just as much –the works. In short, I wasn’t the ideal daughter who brought home the academic awards and made her parents proud. Faith and God were not exactly first in my vocabulary. But I knew the songs in my childhood. And many times, when I would find myself alone, sad and desperate, I found comfort singing those hymns not knowing that in doing so, I was singing the truth of God’s word in my life. These songs helped me find my way to the foot of the cross. When I was pregnant with my eldest son, I put a melody on Psalm 86:11-12 and had my favorite voice student sing it at her music recital that year. I sang that song to all my three kids and all three know the words by heart. My hope is that the word will keep their feet on the word of God and their hearts remain undivided. When our good friend, Chona told us that she’d recently released a compilation of lullabies meant to speak purpose and destiny to our children, I immediately messaged her back and asked if it was also available on CD. Unfortunately for me, ‘Prophetic lullaby for babies’ is only available for download on CD Baby; nevertheless, I have it stored on my laptop and it has been serving as our music for quiet Monday and Sunday mornings. Chona’s voice is soothing on all 14 songs. The melody and the arrangement is perfect for its purpose. And the words are exactly how I would, as a mother, speak to my children. I’ve listened to all 14 songs, but my favorite remains to be the first one — Chosen. Lyrics go, “you are chosen by the LORD, to bring honor and glory to His name“. Reminds me of how we started out as parents, expectant of God’s promises in the life of Pablo, our firstborn. Whether the words are already entering their hearts and heads, I have no way of knowing just yet; not unless one of them bursts singing one of the songs. At this very minute, they’re playing Ninjago on the table while the words “every time you speak, life is released..” streams in the background. For a mother like me, I find the songs reminding me of my faith for my children and for my family. It encourages me to press on teaching our children about God, his word, his works and his promises. It assures me that the love I lavish on my children, and the time and effort we put into teaching them the bible will not amount to nothing, no matter our imperfections. 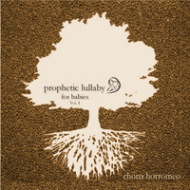 If you want to listen or download songs from ‘Prophetic Lullaby for babies’, click here. “Fix these words of mine in your hearts and minds; tie them as symbols on your hands and bind them on your foreheads” Deuteronomy 11:18. “Teach me your way,O LORD, and I will walk in your truth; give me an undivided heart, that I may fear your name. I will praise you, O Lord my God, with all my heart;I will glorify your name forever” Psalm 86:11. “Let the little children come to me and do not hinder them, for to such belongs the kingdom of heaven” Matthew 19:13. Sunshine & Citrus early Christmas giveaway! 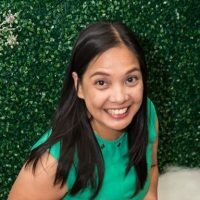 Pingback: I got OPM Christmas songs & I’m allowed to share them to you for FREE! | Fully Housewifed!